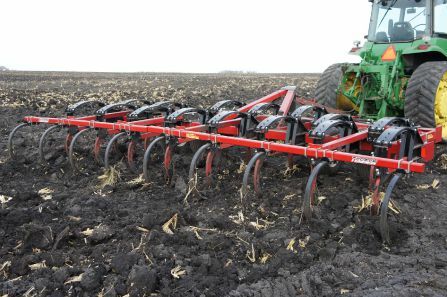 Why Deep Tilling Works: Today's heavier equipment and continuous plowing at the same depth creates plow sole or hard pan. 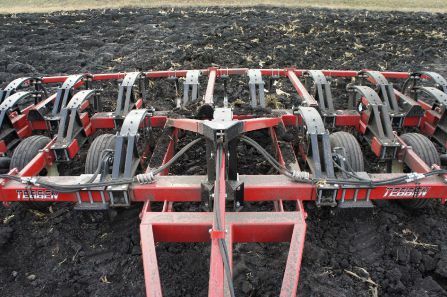 This plow sole forms a barrier which seriously hinders the penetration and percolating of moisture in the field. 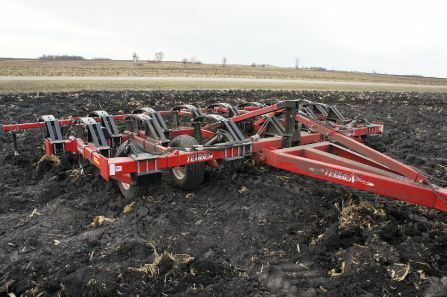 Deep tilling breaks up this plow sole, hard pan and wheel compaction and allows moisture to percolate throughout the soil and at the same time retains this valuable sub-soil moisture. 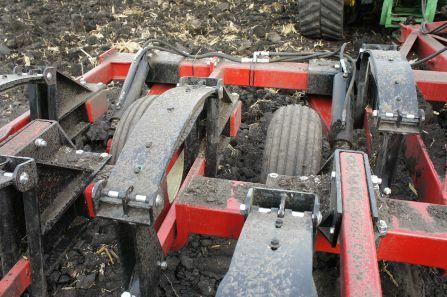 Two Hydraulic gauge wheels on DT5-30, DT7-15, and DT11-15. 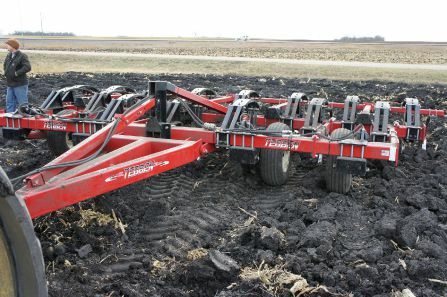 Four hydraulic gauge wheels on all other models.